Whether this is your first year coaching or you are a seasoned youth football coach, every coach is forever a student to the game. And every great coach knows that in order to improve their players, they must constantly be learning new coaching processes and techniques. Many coaches, however, fall prey to the most common mistakes that youth football coaches make. Some of these can take the enjoyment out of coaching that season, or prevent your team from being as successful as it could have. 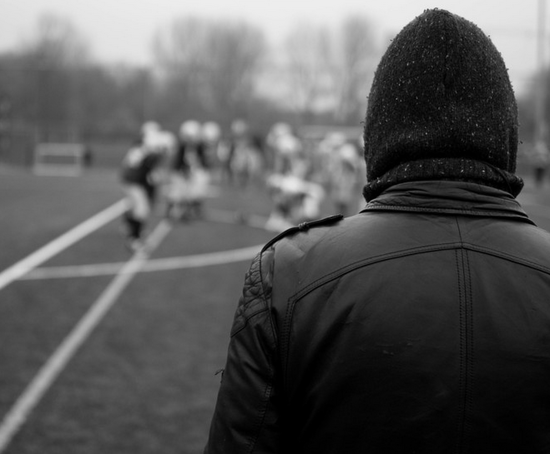 We have compiled a must-read list of common mistakes coaches make when coaching youth football, and how to avoid them. This is really true for anyone coaching a youth sports team. Plenty of parents are convinced that their 8-year-old is going to score a full ride to their university of choice with a football scholarship and go on to play in the NFL. For this reason and a few others we don't need to mention here, you will typically have one of those out-of-control parents at any given game. Not only can this cause confrontation for you as a coach, but it takes away from the fun atmosphere of the game when parents start to make it about themselves as opposed to the kids. I would absolutely suggest that you hold a meeting with parents before the season starts or during the first week of practice. If you aren't going to hold a team parent meeting, at least send a letter home with your kids or email their parents with the information and expectations you want to convey. Show that you are open to chat about any concerns and expect that everyone acts with respect. Other information about practice or protective gear, uniforms, practice/game times, etc. The parent meeting can do wonders for preventing any problems that crop up later in the season with crazy, angry, or aggressive parents. Too many youth football practices feature a coach talking for five minutes straight after every single play to a field of blank stares. It's not your players' fault that they're spacing out. They are here to learn, but another major part of being on the team should be having fun and getting exercise - which is hard to do when your coach stops the play every time. Fixing issues and teaching the right form and plays are important, but if you are going to stop the play to point something out, try to do it within 20 to 30 seconds. This will keep your players engaged and give you more time to physically practice the game. It sounds too simple, but if your players aren't given a strong foundation, they won't be ready to build upon those skills and learn more complicated plays as they get older. Focus on the fundamentals, and then try a few new plays once you feel your athletes have the basics down. Sometimes it's obvious when it's a coach's first ever game as 'the coach.' None of the players know where to go in the lineup, not all the players have on the right uniform, the coach forgot his clipboard, no one brought a football... There are endless things that can plague unprepared coaches. Don't be that guy. Plan ahead using whatever tools or methods work for you. Make sure that you and your players are aware of the game plan and lineup before the game. If you know any other coaches, ask them for advice on what to bring to the games and what you should have prepared. Being prepared will also allow you to focus on making the game a great and fun experience for all involved. This goes back to the number one most common mistake made by coaches. You did everything you could to let parents know your expectations, and even shared your contact information with them for whenever they have any questions. So what happens if you do all this, but then weeks later at a game you have a parent blow up on the sidelines and insist on having a shouting match right then and there? To avoid a disaster, try to avoid talking to any irate, shouting parent at the game. You should be focusing on the athletes, and not the parents anyways. If you have to somehow confront an angry parent. keep a calm tone of voice and ask to speak to them at a later time. Ideally, you can set up a meeting for the next day or later to give them some time to cool off. This one-on-one should be in private, unless you have an assistant coach who can sit in on the meeting. Hear them out, and keep the focus on the kid. Thank them for sharing their concerns when they leave. If you are a new coach, a great piece of advice is to learn about the youth athletic organization that your team falls under. If you don't know a thing about the greater organization, who will you talk to when the schedule is incorrect, you want help with team fundraising, one of your athletes gets injured at practice, or you have questions about equipment or uniforms? Make an effort to get to know local people involved with the youth athletic organization. That way you can get all of your issues and questions answered, and won't have to worry about getting the right practice time slot on the schedule or who pays the game day officials. If the organization has published policy, handbook, or charter, you can share this with the team parents as well. No matter how amazing of a coach you are, there are always things you don't know or could do better. There are also rules and regulations that are constantly changing. In order to ensure that you don't get stuck in your ways or become a major know-it-all, make an effort to continuously educate yourself about the sport. There are plenty of coaching seminars, certifications, educational coaching blogs and sites that you can learn from. For example, USA Football offers a yearly membership that allows you to take online courses to become a better coach and help your players more effectively. Some coaches get so into the game that they forget that that's what it is - a game. It is tempting to keep your weaker players on the bench, or to spend significantly more time coaching your top few players. But at the end of the day, you and your players are there to have fun, win or lose. Make having fun a priority for yourself and your players. Communicate this to your players and their parents from the start of the season. In fact, your end goal as a coach should be to have every kid return to play next season. That's when you know you did a great job. Hopefully you can implement some of these fixes at your next practice, or at least keep these tips in mind for next football season!